Novak Djokovic has beaten Roger Federer in the 2015 US Open mens singles championship with 3 sets to 1. The play was halted on the final day due to rain and it took 3 hours delay to get both players on the court. Djokovic won the first set while Federer fight hard to get the second but next two belonged to Djokovic who his second US open title. Federer put up a good fight, but current world no.1 Novak Djokovic is on different level when it comes to Grand Slams. This was Djokovic second US and 10th grand slam win of the career. We will have the match highlights in couple of hours time so stick around for updates. Now both players have played 42 matches against each other and both are tied with 21 wins each making it one of the fiercer rivalry in modern tennis. 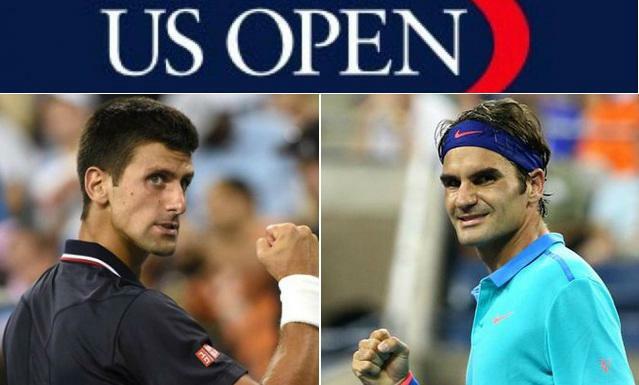 Novak Djokovic will be taking on Roger Federer in the final of 2015 US Open men’s singles championship on Sunday, 13th September 2015. Both Federer and Djokovic made it easy work of their opponents in the semifinal of 2015 US Open as they square against each other for the second consecutive grand slam final this year having already played out Wimbledon 2015 final earlier in the summer. We will have the live action of this match as well as match highlights after words. Federer vs Djokovic Preview: This will be the 42nd meeting between the two where Roger Federer leads with 21-20 in head to head record but in the recent couple of years Djokovic has had the upper hand and current world no.1 has won 4 of the last 5 matches between the two. Federer however has been in great form on American soul this season and he defeated Djokovic in the final of Cincinnati masters couple of weeks ago. Djokovic is coming into this match on the back of a impressive win over defending champion Cilic, who he destroyed in straight sets within hour and a half paving way to his second straight final in grand slams. Just like Djokovic Federer also made easy work of his countryman Wawrinka getting a straight set win in just over 1 hour 30 minutes. The xfactor going into the big final will be which player can set the tempo and Federer has been playing with alot more intensity on hard courts this season and he will be looking to impose himself early in the match and we can safely assume that crowd will be in favour of Federer regardless how Djokovic performs.